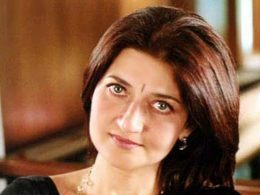 An acclaimed actor in the Indian Film Industry , Sarika commenced her career as a child actor at the age of five . As a child star for several years she acted in myriad films essaying the roles of both male and female characters. Her most notable and popular film as a child artist was in the musical hit film ‘Humraz ‘ where she was seen as the daughter of the actress Vimi. At a young tender age she acted alongside stalwart actors like Sunil Dutt , Mumtaz ,Rajkumar . Acting school for young Sarika was in the directorial orbit of BR Chopra , Hrishikesh Mukherjee , Gulzar among others. As a teenager she transitioned to being a heroine and playing the lead role in films like “ Kaagaz Ki Nao” and “ Geet Gaata Chal “. In a span of twenty years in her earlier career graph she went on to act in films spanning diverse genres . Her deep interest in Cinema made her explore the technical aspects of Cinema . Assimilating the craft and skill she took on roles of assisting in script formation of a film ,in sound and costume designing .She arduously crafted her idiom of design in the arena of Sound and Costume design in over thirty film . She won a National award as a costume designer for the film” Hey Ram”. Adapting to the evolving face of Cinema in contemporary times the artist in her made a conscious choice to act in films like Tahan, Bheha Fry , Club 60 , and Parzania. For the film Parzania she won her second National award for acting . Sarika lives in Mumbai continuing her journey as an actor .